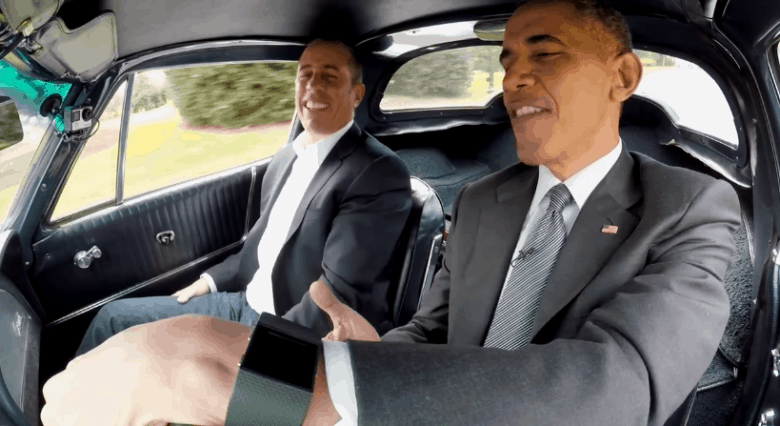 Despite reportedly being an avid iPad user, Obama’s got a spotty history when it comes to Apple products. When he shared two vacation playlists last year, they notably used Spotify instead of Apple Music. During this Christmas’ disappointing “Bear Goes Wild with Barack Obama” documentary, the President also revealed that he’s pretty much completely clueless when it comes to using an iPhone — sticking, as he does, to a 2007-era BlackBerry. Since the President will have a whole lot more free time by the end of this year, maybe he’s just saving up the Apple Watch for when he can give it a bit more attention. Then again, perhaps Barack is just bitter about rival Jeb Bush claiming that an Apple Watch can do more for healthcare than Obamacare has.